A new Memorial Day display with thousands of red poppy flowers representing the service members who have died in combat since World War I is coming to the National Mall for a limited time. WASHINGTON — Although Memorial Day is the unofficial kickoff to summer, the real reason behind the holiday is much more solemn than that. “Freedom is not free. And since World War I, 645,000 Americans have sacrificed their lives for that,” said retired Vice Adm. John Bird with USAA. He hopes a temporary Memorial Day display that is coming to the National Mall will illustrate that point. The “Poppy Memorial” will be on display to the public for the first time. It will be on the southwestern side of the Lincoln Memorial reflecting pool from 9 a.m. to 9 p.m. May 25 through May 27. 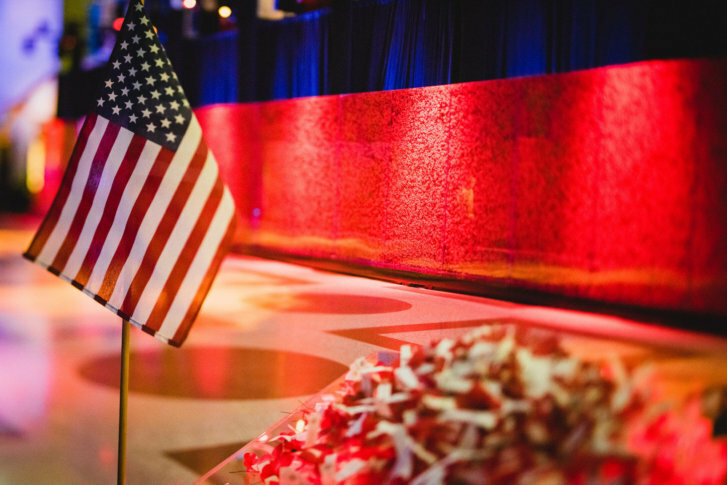 A transparent wall that’s 133 feet long and 8 1/2 feet tall will be filled with 645,000 red, synthetic poppy flowers. Each flower represents and honors a fallen service member. Visitors to the new installation will be able to dedicate a digital poppy through on-site kiosks and those unable to see the display in person are able to dedicate poppy flowers online. Bird said the Poppy Memorial is a somber and powerful display to remind people what Memorial Day is really about. The red poppy flower came to symbolize the bloodshed on the battlefield after a poem was written by Canadian Lt. Col. John McCrae who was serving on the front lines of World War I. The flower is a widely recognized symbol in remembrance of these servicemen and women.